If you're working outside of a mainstream classroom setting, you might be getting jealous of all the teacher bloggers sharing their massive, decorated rooms. If you're lucky enough to have your own little room in which to offer extra support to children, here are some ideas of how you can spruce it up! As you will probably be using limited table space for a variety of activities, you may have to move writing/cutting supplies often. 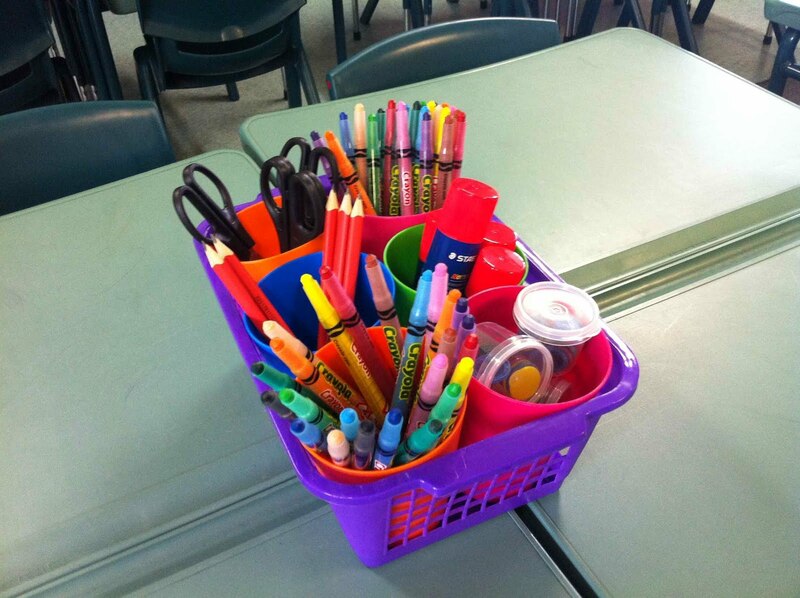 You can use a desktop caddy for handy, portable storage of all of those pencils, markers, scissors, rulers, etc. These can be bought or made (some tubs, a basket and a hot glue gun should do the trick - see how it was done on Tales of a Teacherista) and can be prettied up with ribbon or stickers. This one has mini buckets glued to a "lazy Susan" so that children can spin it around to reach what they need. 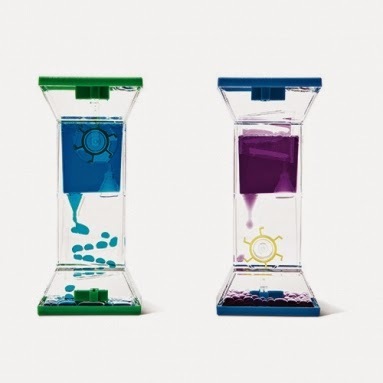 These liquid timers (€4 from Tiger) would be great to help children to work on time management skills. 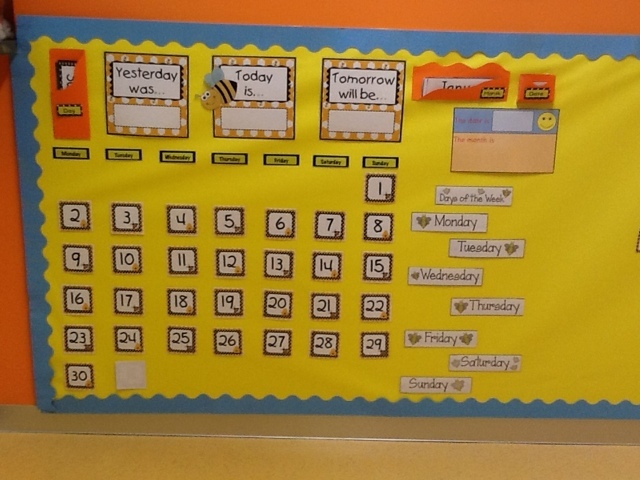 A big calendar display is a very useful resource to place in your room. Lots of sequencing activities are worked on within learning support/ resource rooms. Having "Yesterday was," "Today is" and "Tomorrow will be" posters gives an opportunity for a simple sequencing task. A calendar can also be used as another method of reinforcing counting on and counting back. There are a myriad of these types of displays available for free and paid download on sites such as Sparklebox, TeachersPayTeachers and TeachersNotebook. Calendar - part of the bee-themed kit I won from Classroom Decor and More. Days of the week cards from Johnson Creations. "The day is/ The month is" sign from Sparklebox. I absolutely love Mama Jenn's idea of making the date in coins. They are added to the calendar using velcro dots. What a great reinforcement activity! She also cleverly stores the spare coins on an extra velcro strip beside this display. Teacher's Pet has a wonderful display of "criminal words" i.e. 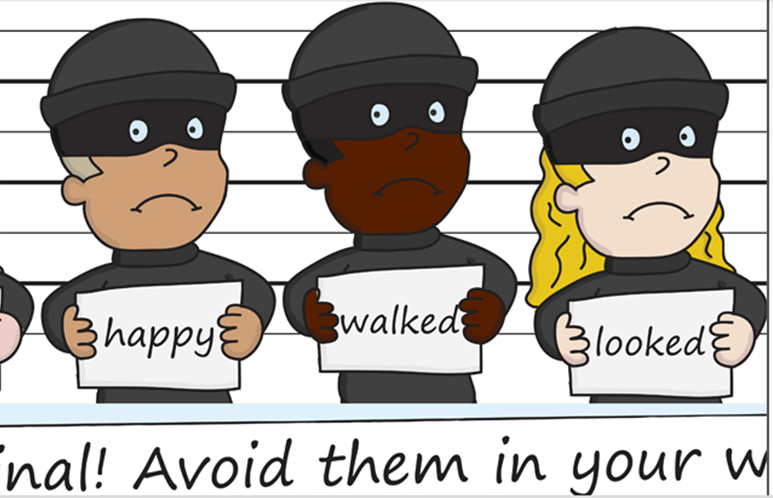 overused words such as "said," "went" and "walked." You can download this for free here. Another one more suited to older primary school children is this maths vocabulary board. If you don't have space for that one, you can download a printable version from Teacher's Pet. It's a good idea to display number resources in a variety of forms to suit different types of learners. In my school we use Numicon which I have found to be fantastic for my visual learners. They offer lots of free resources on their site including these number lines. Here is another bright number line. 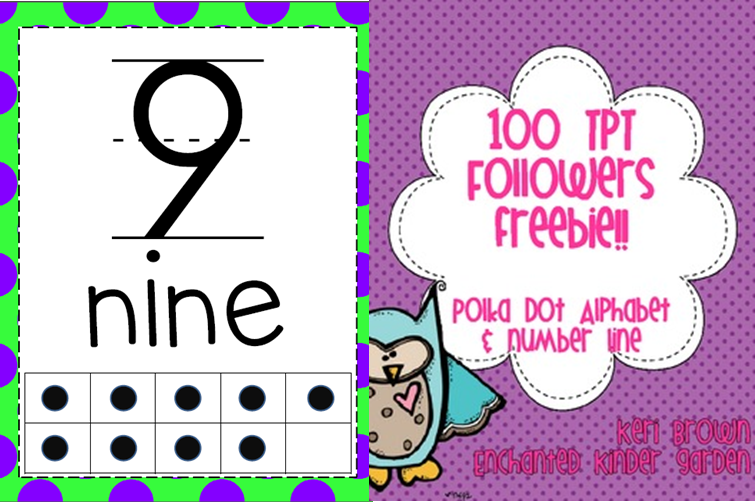 This free to download set by Keri Brown contains a number line with ten frames and very cute alphabet posters. There are lots of alphabet posters available for free online (such as those in the free set above). However, if your school follows a scheme such as Jolly Phonics, Letterland, etc. then it's probably best to have these displayed. Any resource room will have lots of concrete materials for children to use. Keeping these organised in a bright display can add colour and order to your room. 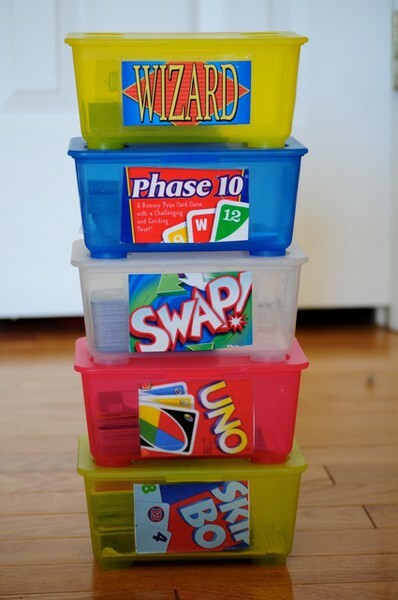 Reuse baby wipe containers or food packaging to repackage games/manipulatives. Stick part of the game box (or a photograph) of the manipulatives for easy identification. These can then be stacked neatly beside a tall shelf/filing cabinet. 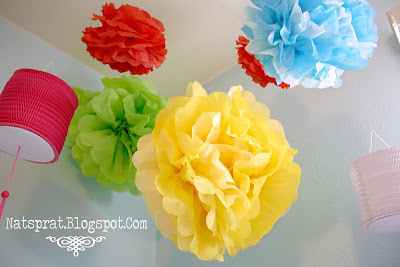 Brighten up a corner with some hanging decorations such as paper lanterns or large pompoms/paper flowers. View my pom-pom tutorial here. Utilise all areas of your room. Create extra display space on the side of a bookshelf or the front of a desk by blu-tacking on backing paper and cardboard borders. 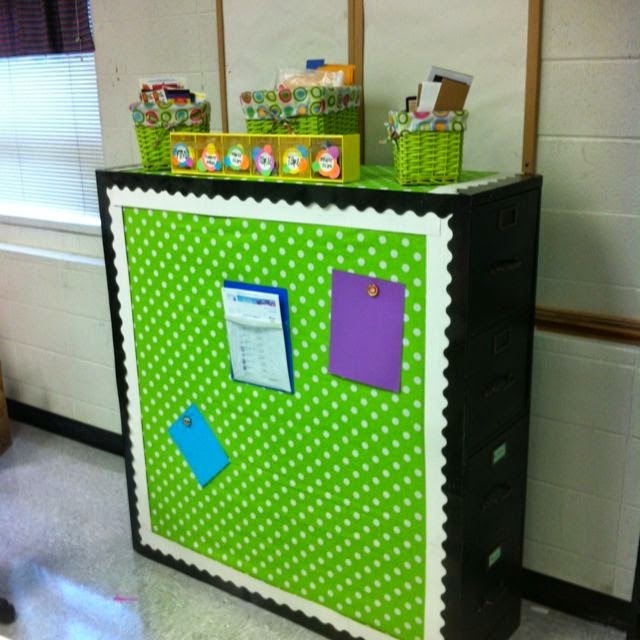 Absolutely no space was wasted in this teacher's room! This one was done by placing two filing cabinets back to back. 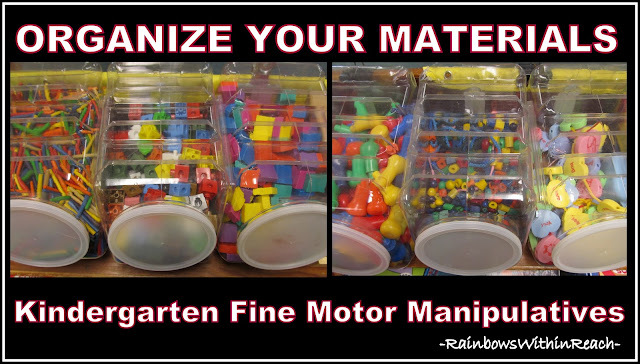 Have a look at Ms. M's blog post about creative ways to display in classrooms for lots more ideas. Take inspiration from others. Lucky for you, the person behind "Sped-ventures" has compiled a list of blogs related to special education. I'm sure you'll find lots of ideas there! If you have any other resource room ideas, please comment below with your ideas! what size font did you use for the math words bulletin board?